Blueberry Lemon Yogurt Bundt Cake – blueberry and lemon combination, with a lemon glaze give this special cake a perfect taste. I love blueberry and lemon combination and both my husband and I love this dessert. It is soft and rich in blueberries and with some lemon and yogurt it becomes real refreshment on your plate. 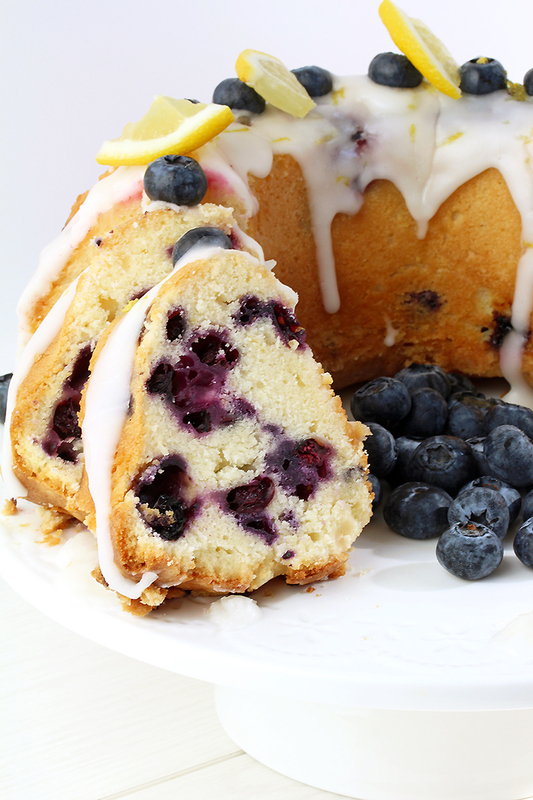 Blueberry Lemon Yogurt Bundt Cake has a lemon glaze and is decorated with fresh blueberries and lemon. It looks great and tastes even better. It is so easy to prepare, you won‘t need any special ingredients and the taste will be amazing. When you try it once, it will be on your menu regularly. I like cakes made with fresh fruit. Besides Blueberry Lemon Yogurt Bundt Cake, my favorites are also Fresh Strawberry Cream Cheese Cake, Easy Fresh Berry Cream Cake and Strawberry Shortcake. I enjoy preparing cakes that my family loves, especially at weekends, so that we can make the precious time we spend together, sweeter. 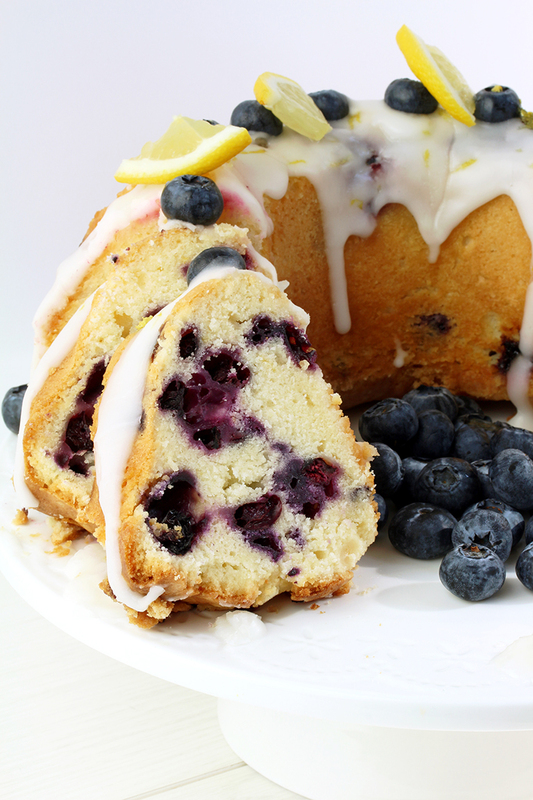 Blueberry Lemon Yogurt Bund Cake is often on our menu, this time of the year. Spring and sunny weather always make us feel better and this cake can help, too. If you like blueberries, you will love Blueberry Cheesecake Chimichangas. For all those like me, who are crazy about blueberry – lemon combination, Blueberry Lemon Cheesecake Cookies are perfectly soft and rich cookies. Lemon fans will love Lemon Magic Cake, perfectly simple and delicious cake. If you often prepare cakes and like to try out new recipes, check out the Desserts Category on our blog. I am sure there will be something interesting for you. Get busy. 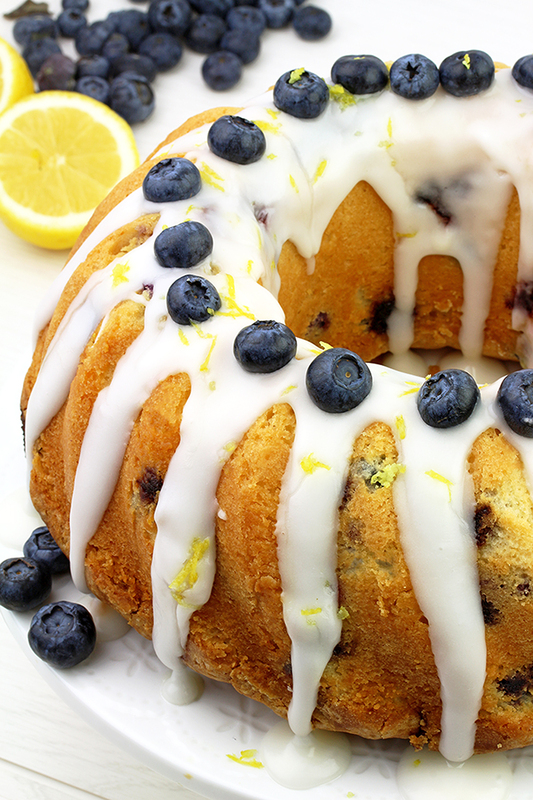 Put a smile on your face and prepare Blueberry Lemon Yogurt Bundt Cake. Enjoy and let me know if you like it..
Blueberry Lemon Yogurt Bundt Cake – blueberry and lemon combination, with a lemon icing give this cake a perfect taste. I love blueberry and lemon combination and both my husband and I love this dessert. Preheat the oven to 350 F. Flour and butter a 10 inch Bundt pan and set aside. In a medium dish gently combine blueberries and ¼ cup flour. Set aside. In a large dish combine 2 ¼ cup flour, baking powder and salt. Set aside. In a separate dish beat butter and sugar with an electric mixer (medium - high speed) until light and fluffy, for about 3-4 minutes. Add one egg at a time, and then add vanilla and 2 tablespoons lemon juice. Continue to mix. Add Greek yogurt and lemon zest and mix until combined. Then add flour mixture and beat until well combined.Gently fold in blueberries. Put the dough in the Bundt pan and bake for 1 h and 15 min or until a toothpick comes out clean or with a few crumbs on it. Take out of the oven and leave in the Bundt pan for 30 min to cool, and then transfer to a wire rack to cool completely. In a medium dish combine powdered sugar, lemon juice and milk and stir until smooth. 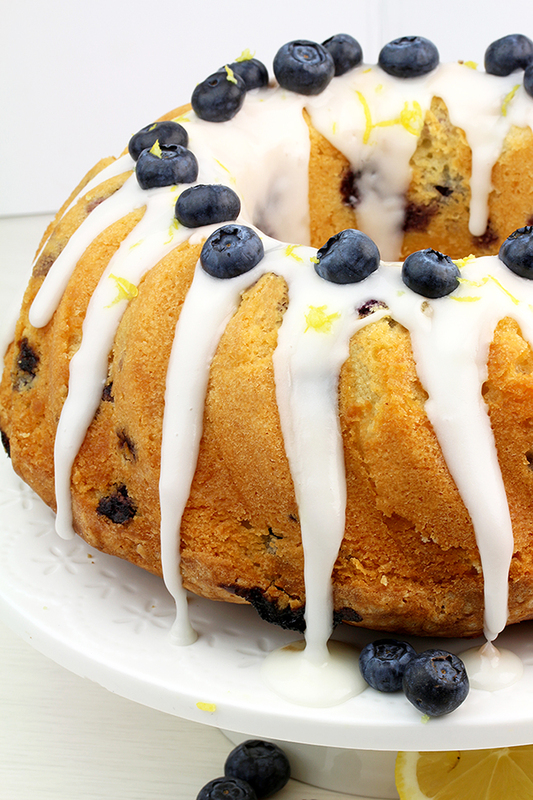 Glaze the completely cooled cake and decorate it with fresh blueberries. Serve at the room temperature. Store in an air fresh container, in the fridge up to 5 days.